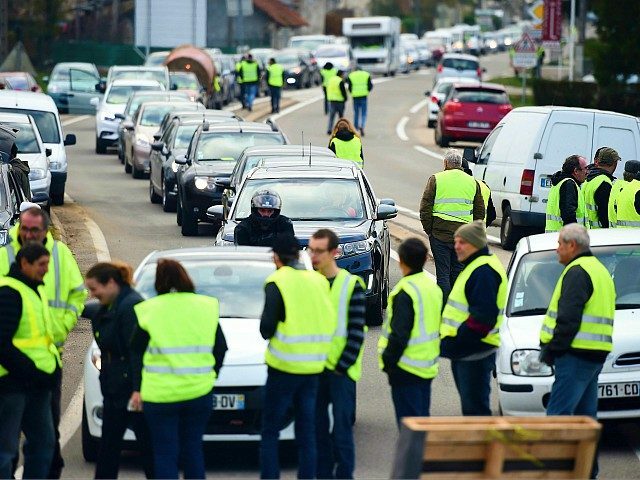 PARIS (AFP) — French drivers seething over high fuel prices have vowed to snarl traffic across the country Saturday in a widely supported protest that could prove the trickiest so far for President Emmanuel Macron. The “yellow vests” movement, named for the high-visibility jackets worn by supporters, erupted on social media last month with calls for mass blockades of roads and highways. Anger over fuel costs, blamed on taxes imposed by Macron to fight pollution, has been simmering for months, particularly in smaller towns and rural areas where public transport is patchy. “Nobody thinks about the people on the city fringes, in the provinces, in rural areas,” said Priscillia Ludosky, a business manager in a Paris suburb who launched an online petition last May which now has more than 850,000 signatures. “They tell them to use alternative transportation but the reality is that’s not possible. 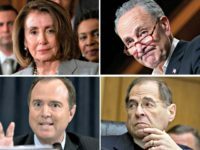 They have no other choice but to pay up,” she said. But analysts say the movement now represents more widespread frustration over stagnant spending power under Macron, a former investment banker who promised economic revival and to restore people’s trust in government. Critics accuse him of neglecting the needs of the poor and the provinces in favour of tax cuts for the wealthy and other policies which mainly help well-heeled urbanites. A poll by the Elabe institute this week found that 73 percent of respondents backed the “yellow vests”, and 70 percent wanted the government to rescind the fuel tax hikes, which are slated to continue through 2022. “Even 54 percent of people who voted for Macron support this movement,” said Vincent Thibault, Elabe’s senior research director. “The expectations and discontent over spending power are fairly broad, it’s not just something that concerns rural France or the lower classes,” he said. The movement’s leaders have refused any alignment with political parties or labour unions, echoing similar tax revolts which dot French history back through the centuries. Around 1,500 protests are expected across France, aiming to thwart access to city centres, create gridlock on major roads and highways, and block access to airports. Motorway operators have appealed for anyone not having to drive to stay at home. In Paris a “snail operation” will snarl the city’s main ring road before heading toward the Elysee Palace. “Emmanuel Macron’s unpopularity is increasingly acrimonious. It’s become more of a societal opposition, not just political,” said Jerome Sainte-Marie, head of the PollingVox institute. “Emmanuel Macron is in real trouble with average people: he represents the Parisian social and intellectual elite and that sends a very negative image,” Sainte-Marie said. But the 40-year-old centrist has shown no signs of changing course, saying he will pursue his reform agenda despite risking the wrath of voters. The government has said it will not tolerate road shutdowns Saturday, and some 30,000 additional police officers will be on call in case of disruptions. Macron does have some on his side: several cycling groups have called for counter-protests in support of the higher fuel taxes.